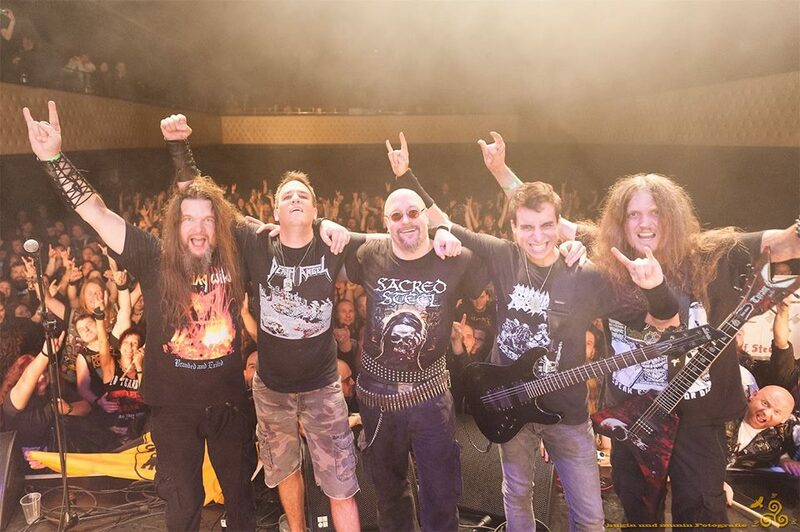 Interview Kai Schindelar from Sacred Steel and Lanfear…. Please tell us how you spend the Christmas time and Sylvester… You where visiting Pilsen? As probably most of the people reading this i spent christmas with my family. I’m a big christmasfan, the house is decorated chrismaslike everyyear and this year even the christmastree was amazing. Just got the problem with too much too good, you know that? Sylvester we usually spent at my friend’s Ulle’s (guitarplayer and songwriter in Lanfear, Septagon and Them) home with some friends. It’s always afunny and very thirtsty thing. After christmas and before Sylvester I was visiting Pilsen/czech republich with some friends for a few days, to go on with good food and even better beer! Pilsen has also a few cool metalclubs, this city is highly recommended! This shorttrip has become like a tradition for me and the guys, we’re doing this every year. You live in the Stuttgart/Heilbronn area, how is the Metal scène overthere? Well, if you have asked me this question 10 or 15 years before, I would have to tell you there’s no better one in the whole world. Nowadays the former cool metalheads went a bit older and most of them are not that big partypeople anymore. The thing I call ‘traditional metal’ ist not being heard that much by the younger guys. There are a few concerts going on here, especially with local bands, and sometimes some international acts come here, but mostly the scene sounds to modern for me. Or I am to old for the scene……. I started playing bass at the age of sweet 14, back in 1987. Me and some other guys wanted to find a Thrashband. We found them and there were 2 guitarplayers and a drummer. a very talented guy, hehehe. Please tell us how and when you started to listen to heavy Metal? It was around 1985, when I got some tapes from older guys in in the small village I grew up. It all began with Accept, Dio and JudasPriest. This amazing sound hit me from the first time I’ve heard it, I’ve never heard comparable stuff like that before. I recognized that the guys who were playing that songs did it from the bottom of their hearts, with a deep fervor, it was just unbelievable. That’s what I sometimes miss on the new releases. 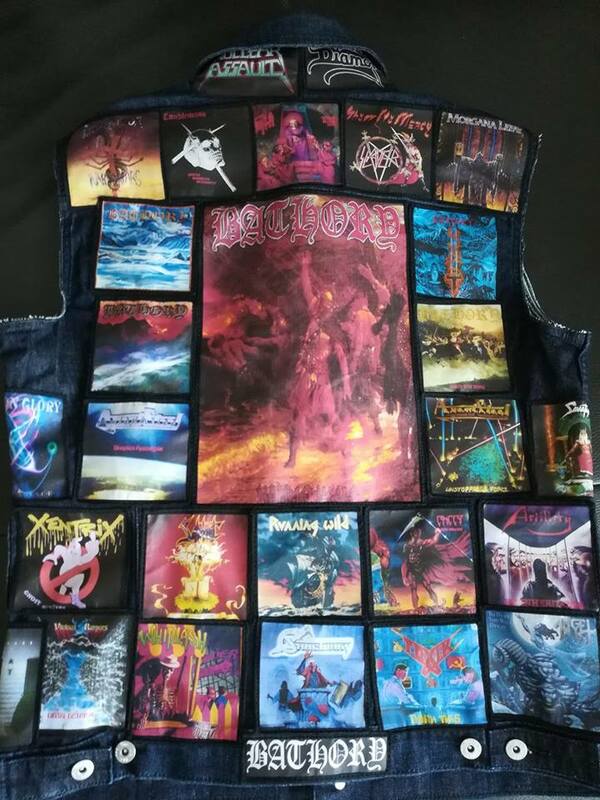 On Facebook you have this photo with this jacket full of these patches. Like Xentrix, Bathory, Slayer, Agent Steel, Running Wild etc. These are probably your big influences..? Yeah man, these are the bands I grew up with. For me, the late 80’s were the best times for metal! There was that much new stuff, and everything was different, the bands did not copy themselve, everyone tried to find his own way in music. For example Bathory, Candlemass and Agent Steel, totally different bands but all absolutely great. This kind of music is mostly the thing I listen to nowadays. Every friday when I start into the weekend and I am driving home from work in my car Bathory is played, it became like a weekendstarter for me! 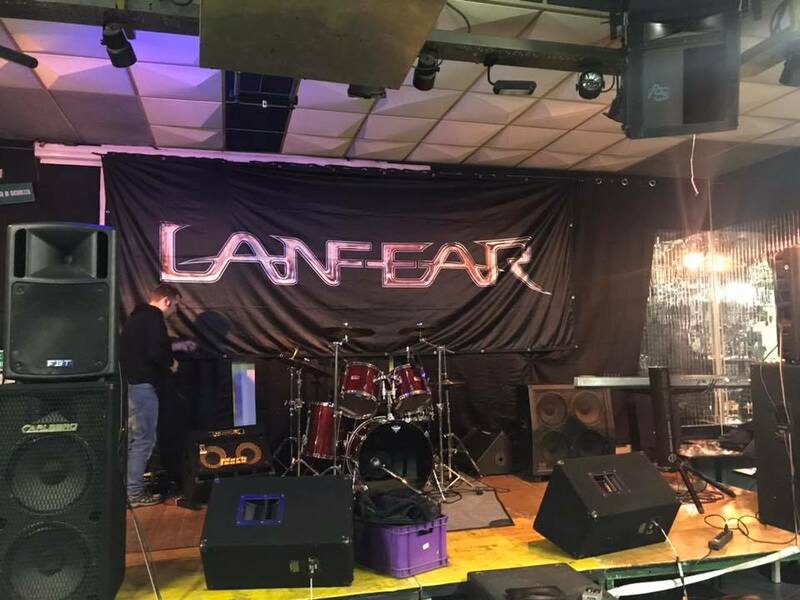 Are you still involved in The Metal band from your hometown; Lanfear? Of course I am! Currently we are working on some new songs. The last album has been released in 2016, so to keep our chromatic interval of 3 years for releasing albums, we have to hurry a bit. But these times our vocalist Nuno has again some health problems, we hope that he will get better in a short time and will go on working on the new stuff. Maybe some people will be surprised, because new stuff will sound some kind of different…. 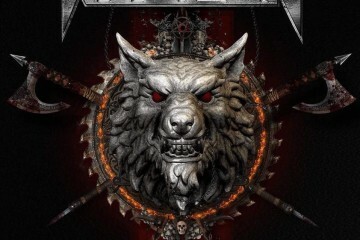 The last album from Sacred Steel was released in 2016; Heavy Metal Sacrifice. How this album was received by press and fans? ‘Heavy Metal Sacrificed’ received some great reviews and some not that great reviews. I think Sacred Steel is still a very polarizing band, love it or hate it, there’s not that much inbetween. The older fans also liked the album very much I think, at least that’s what some of them told us. It was a kind of ‘back to the roots’ for us, We wrote the songs the same way the band did for the first album, just got into the rehearsal room on friday (after a huge lunch at the local chinese restaurant), closed the door, had some drinks and went out on sunday evening. After this, 90% of the album has been roughly written. Who was responsible for the great frontcover? Any news about a new album on the horizon? Believe it or not, we’re meeting for a new songwriting-session next two weekends. Hopefully it will work as cool as the last time. Of course it will take some time to work out the stuff, getting a cover, a booklet, entering the studio and all of the stuff. We’re trying our best to release it as soon as possible. 30 March 2019 you Guys Will play the Helicon Metal Festival in Warschau. Will this be your first time in Poland, personally or with the band? Oh no, we played a festival in poland in 2008 with Crystal Viper and Omen, it was absolutely cool there with lots of vodka and fun. 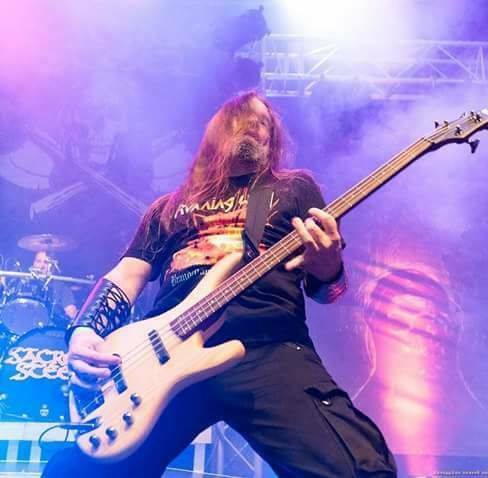 The bloodshed summonig album also has been recorded in Poland, so it will be a bit like coming home. Are there more shows scheduled for the near future for Sacred Steel? 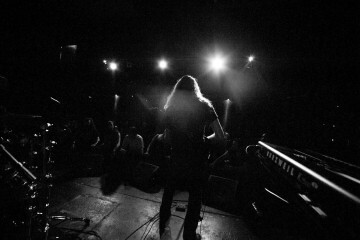 We love playing live, so most of the times we have some shows to go. We’ll be playing the “Swiss Metal Master” in Wohlen, switzerland at march, 16th. And on march, 23th we’ll play the “United Metalheadz! in munich. We have some shows planned that have not been confirmed yet. Let’s see what the new year will bring. Any last word you want to share with us, the readers of Bonavox.nl? to have a beer with us, most of Sacred Steel usually hang around at Keep It True festival, feel free to drink with us!